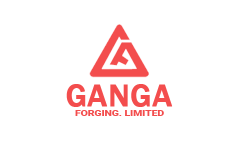 Business description - Ganga Forging is a manufacturer in forging industry and is engaged in manufacturing of closed die forged products catering to both automotive and non-automotive segments. Automotive segment includes manufacturing of products catering to commercial vehicle, passenger car, three wheeler, two wheeler and tractor. Non-automotive segment includes electric power transmission, dairy equipment manufacturing, agricultural, gear and gear box, crank shafts, connecting road, heavy engineering industrial, hubs and flanges. The company is equipped with in-house testing laboratory for checking of raw materials, working in process materials and finished products. The company also complies with Quality Assurance System like ISO and strives to deliver quality products to the customers. Ganga Forging is ISO 9001:2008 certified. Ganga Forging IPO allotment status is now available on Link Intime's website. Click on this link to get allotment status.